FRESNO, Calif. (KFSN) -- Good news for a good boy! Yankee, a seven-year-old Golden Retriever and cancer survivor, and his owner gave us an update after his recent vet visit. 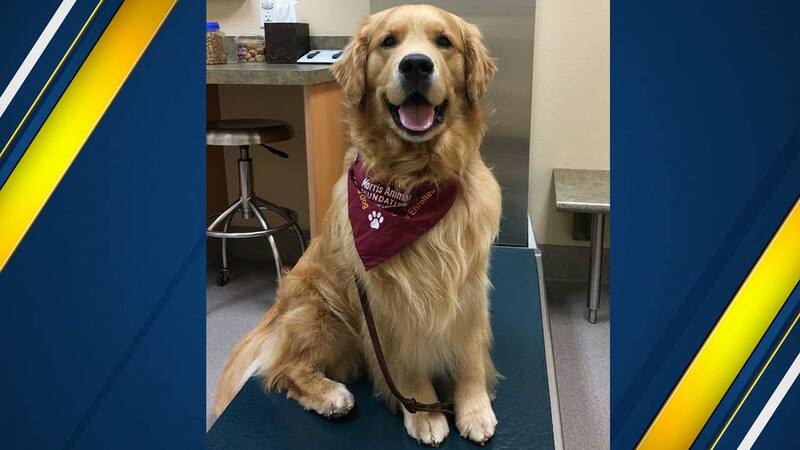 Yankee's owner, Pam Kennedy of Clovis, said "all went well" with Yankee's annual physical at the Abby Pet Hospital in Fresno for the #goldenretriever Lifetime Study. He is still cancer free after having surgrey to remove the concer. Yankee is part of a $32-million dollar national cancer study that is tracking more than 3,000 purebred Golden Retrievers for the Morris Animal Foundation. To see the original story about Yankee and the massive effort to stop a silent killer click here.